Do you want to know how to extend your lease or whether you can enfranchise the freehold to your new house? Or perhaps you wish to change your lease into a freehold. 1. How do I extend my lease? 2. Can my landlord require me to continue to pay ground rent when my lease is extended? 3. How much will it cost to extend my lease? 4. How long will it take to extend my lease? 5. How do I obtain the freehold to my flat? 6. Can I take control of the management of my building? 7. Can my landlord force me to pay service charge demands I dispute? 8. Can I obtain a copy of my landlords’s insurance policy? 9. Can I have my seller pass the benefit of the lease extension process to me? 10. What can I do about my missing landlord? 11. How much do I have to pay for the freehold to my building? 12. Can I enfranchise the freehold to my house or extend my lease of it? 13. Can my landlord stop me extending my flat? 14. Can I correct defects in my lease? 1. How do I extend the lease of my flat? If you meet certain qualification criteria then you can force your landlord to extend your lease in return for payment of a premium and certain costs. You have to give a statutory form of notice and follow the procedure that then applies. It may also be possible to negotiate and agree terms with your landlord without using the statutory process. Even if you have the right to extend it may be cheaper to negotiate an extension when you take into account the costs payable. Not if you extend via the statutory process. If you negotiate terms outside that process then the landlord may insist on this. You must obtain specialist valuation advice to ensure that you do not agree a level of rent which might adversely affect your ability to sell your flat or its value. There is a statutory formula that is applied to work this out. It gives the landlord compensation for the loss of any ground rent income stream it would otherwise have continued to enjoy, for the depression in the value of its interest in the building and, if the remaining lease term is below 80 years, a share of the added value released by the extension. You will need to engage a specialist valuer to advise you in this regard. A key issue is that the premium will usually increase sharply as the lease term drops below 80 years remaining and so a statutory claim to extend the lease must be made before this happens. While new lease claims are often concluded within 6 months it can take 12 months or more if one party digs their heels in over the terms (premium and form of lease), i.e. to the point where a Tribunal hearing is required to determine the terms in dispute. You may be entitled to acquire the freehold to your building acting in concert with other flat owners. If the building and flat leases meet certain criteria then, acting in concert with a certain number of other flat owners, you can force the freeholder to transfer the freehold to you in return for payment of a premium and certain costs. Alternatively you could sek to negotiate with the freeholder but there can be complications such as the existence of intermediate leases and the right of first refusal process which the freeholder is likely to have to observe. Sometimes the terms of the flat leases means that acquiring the freehold does not bring with it control of the management of the building i.e. insurance and maintenance. Yes if the building and flat leases meets certain criteria then, acting in concert with a certain number of other flat owners, you can take control of the management functions currently vested in your landlord by your lease. No premium is payable but you have to reimburse the landlord its reasonable costs. This no fault right is known as the “right to manage”. Earlier legislation provides a fault based method of obtaining control of management which can be more appropriate in some circumstances but the grant of an order to this effect is discretionary unlike the right to manage. Flat owners (not commercial tenants) are entitled to ask a Tribunal to decide whether service charge demands are reasonable. The starting point is to examine what your lease requires you to pay in this regard. Laid over that are statutory restrictions on the sums that can be demanded, and the timing for this. They have to be reasonable and where they relate to major works there is a consultation process that must be complied with as a condition of demands to contribute toward that costs being made. 8. Can I obtain a copy of my landlord’s insurance policy? Yes if your lease requires the landlord to arrange buildings insurance then you are entitled to call for a written summary or a copy of the policy. Yes if your seller qualifies for an extended lease then contractual arrangements can be made for you to receive the benefit of this right. There are commercial risks that you need to consider and potentially negotiate in respect of first. There are procedures to enable flat owners to extend their lease or acquire the freehold (where they qualify) despite the landlord being “missing”. Unfortunately it adds time, cost and complexity to the process. There is a statutory formula that is applied to work this out. It provides the freeholder with compensation for the loss of the freehold interest based on a market value produced by applying certain rules set by the legislation and for any reduction in the value of other property. The former may include development value. In addition the freeholder is entitled to receive a share of the additional value released by the freehold and lease hold interests being held by the same party in respect of flats that have less than 80 years of their term remaining; This is known as marriage value. You will need to engage a specialist valuer to advise you in this regard. 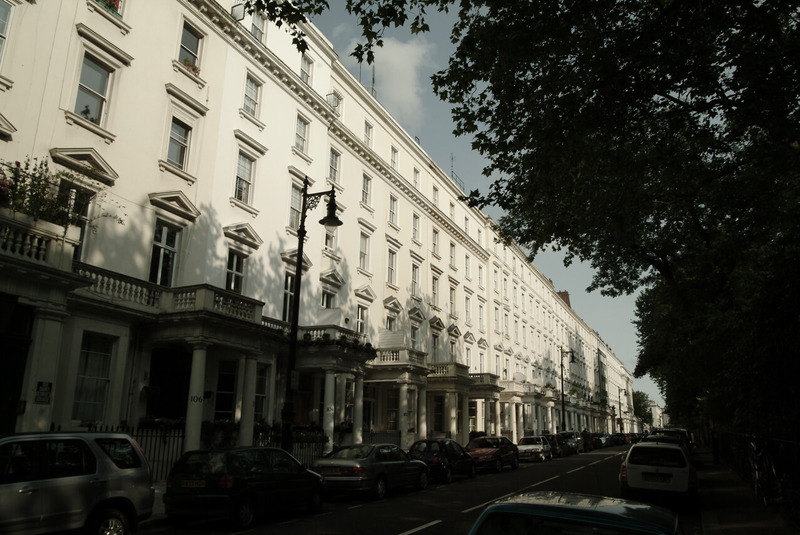 Yes in certain circumstances leaseholders of houses can acquire the freehold or extend their lease in return for paying a premium and certain costs. It may be able to if you do not own all of the parts that will be affected by the extension or your lease contains an Absolute bar against the type of alterations that will be involved. It may be possible to get round this by enfranchising the freehold but this is not certain as the freeholder may be able to continue certain lease covenants into the freehold title acquired. Yes a flat owner acting alone can apply to the Tribunal for your lease to be varied to correct a defect on the grounds that the lease fails to make satisfactory provision with respect to repair and maintenance, insurance or the computation of service charges. The landlord has the ability in response to require that consequential variations are made to the other flat leases in the building. Wider powers are available to a majority flat owners and the landlord acting in concert where the aim of the variation cannot be achieved unless all the leases are varied to the same effect i.e. a change to the service charge or provisions. This is much more useful than the right available to a flat owner or landlord acting alone as the types of variation that can be sought are not limited in the same way.